Homeland to End After Season 8? Earlier this summer, it was confirmed at the TCA summer tour that Showtime has renewed its hit series Homeland for a seventh and eighth season, with the upcoming Season 6 set to debut this January. It seems that Season 8 may be the last for Homeland, according to showrunner Alex Gansa. While Showtime has yet to confirm the final season, Alex Gansa revealed that he will certainly be "done" with the show after Season 8, that is if he is "still standing." Deadline spoke with Alex Gansa, who confirmed that his involvement with the show will be done after Season 8. He did add during Showtime's pre-Emmy's party that it would ultimately be the network's decision on when to bring the show to a close. Season 6, which is slated to debut on Sunday, January 15 at 9 PM ET, is currently filming in New York City. This season brings the show back to the United States, after spending the last two seasons abroad. 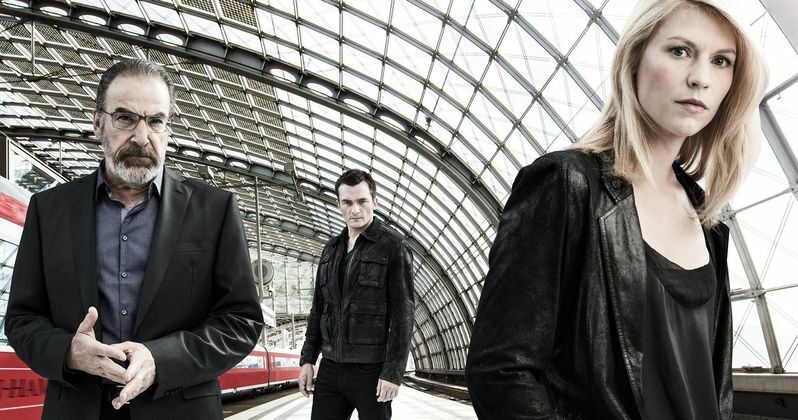 The fourth season was shot in South Africa, while Homeland Season 5 was filmed in Berlin. While the show will return to the United States this season, Alex Gansa told Deadline that he hopes to shoot one of the two final seasons, preferably the eighth and final season, in Isreal. This would bring the show full circle, since it was adapted from the Israeli series Prisoners of War. Homeland Season 6 will once again star Emmy, Screen Actors Guild and Golden Globe Award winner Claire Danes, Emmy nominee Rupert Friend, Oscar winner and Emmy nominee F. Murray Abraham and Emmy and Tony Award winner Mandy Patinkin. After she thwarted a terrorist attack in Berlin, season six picks up several months later and finds Carrie Mathison (Claire Danes) back on American soil, living in Brooklyn, New York. She has begun working at a foundation whose efforts are to provide aid to Muslims living in the U.S. Season six will tackle the after effects of the U.S. presidential election, with the entire season taking place between election day and the inauguration. It's a strange, transitional time in the halls of government filled with anxiety and different competing interests, where a very fragile and complex transfer of power takes place between the outgoing president and the incoming president-elect. With Showtime already renewing Homeland through Season 8, the network still has plenty of time to make a decision on the fate of this series.